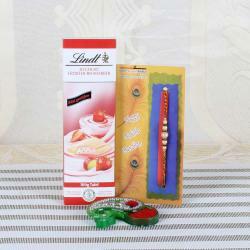 Product Consist: Lindt Hello Chocolate (Weight: 100 gms), Shiny Colorful Beads Rakhi along with Roli Chawal Container. 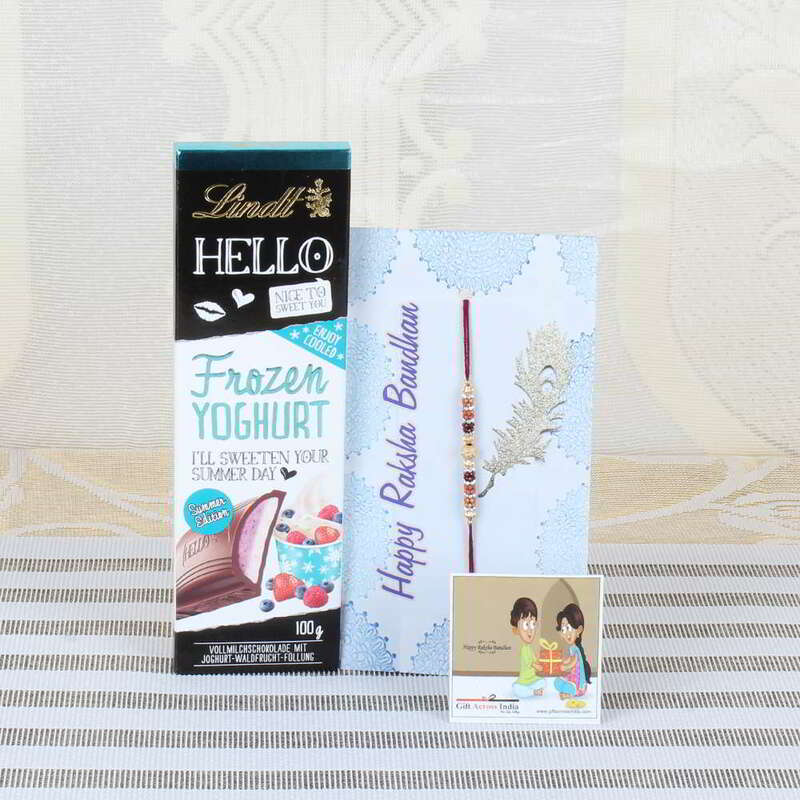 Delicious Lindt Hello chocolate Rakhi Hamper is all set to wish your brother Happy Raksha Bandhan. 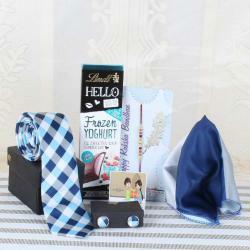 This wonderful Chocolate gift will grab a special attention so have a quick look and order online for your beloved brother. Grant him your blessings and celebrate the wonderful bond which you have shared. We all have beautiful memories of how we grew up as brothers and sisters. 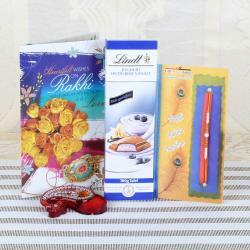 Rakhi thread is the important part of the entire celebration of Raksha Bandhan so it needs to be elegant for your brother. 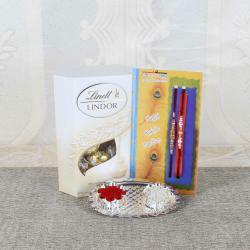 Product Includes: Lindt Hello Chocolate (Weight: 100 gms), Shiny Colorful Beads Rakhi along with Roli Chawal Container.